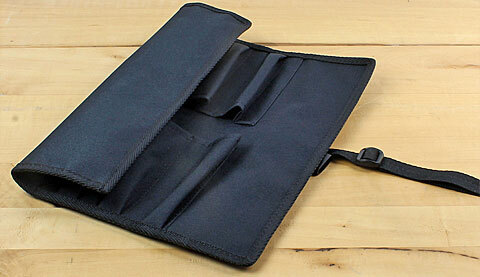 Tool Roll for chisels, carving tools, files, rasps etc. These tool rolls, made of sturdy sailcloth, will protect your valuable chisels and carving tools from dirt and damage. 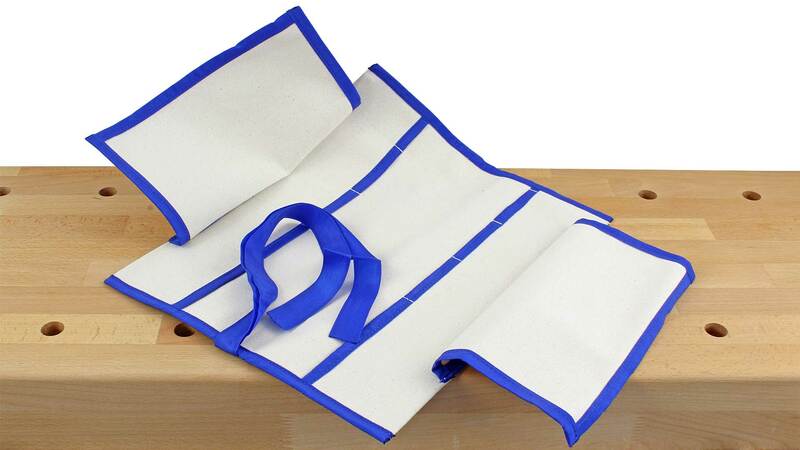 Because the flap of the roll folds over the contents before it is rolled up, and with the roll securely fastened, tools may be safely transported with no risk of falling out. The question is often asked whether tools should be inserted into a tool roll cutting edge first or handle first. Generally, chisels are placed in the roll cutting edge first. Cutting edges of carving tools have different contours, and should therefore be placed in the roll handle-first to keep the cutting edges visible. This prevents a search through whole roll for a particular tool. We recommend that you place all tools in the tool roll handle-first; this lets you immediately find the tool you wish to use. Cutting edges are kept from contact with each other by the protective flap, which lies between them when the tool roll is rolled up. 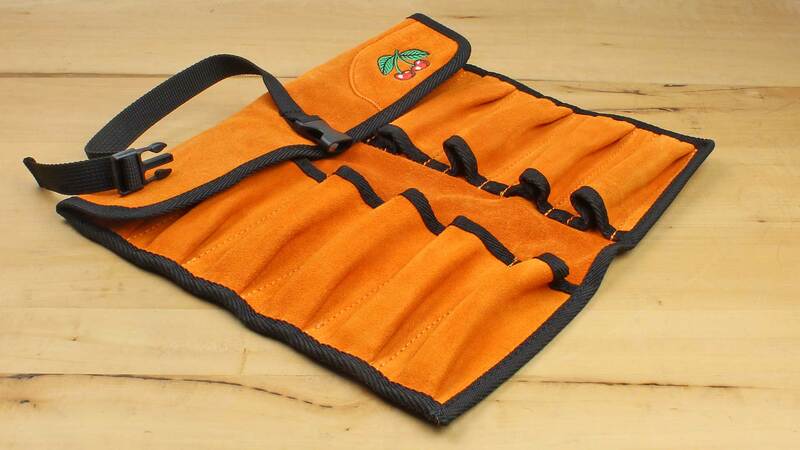 Our tool rolls are suitable for all the chisels and carving tools that we offer, with one exception: the firmer chisels made by Two Cherries; their handles are too thick to fit in the pockets. 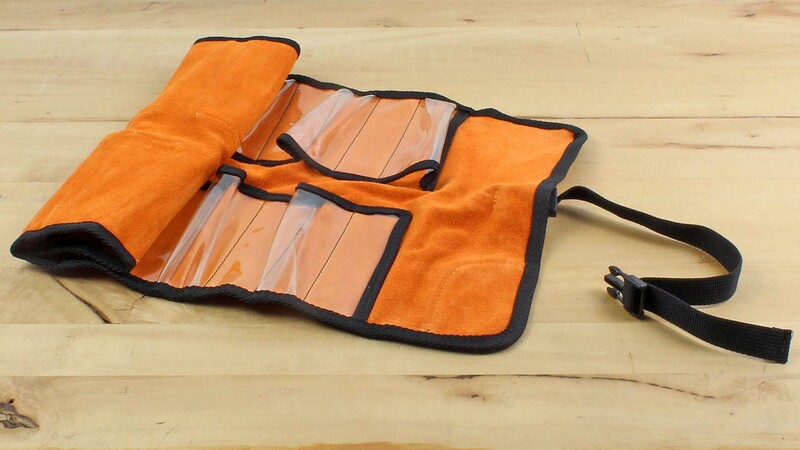 Canvas Tool Roll with Cord Tools not included! See all 3 tool rolls enlarged! 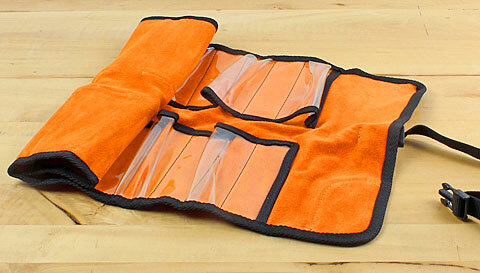 TWO CHERRIES Microfiber Tool Roll Tools not included! 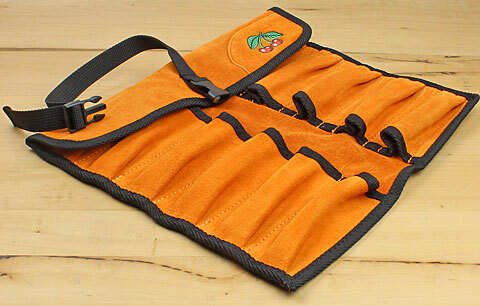 TWO CHERRIES Leather Tool Roll with 12 transparent and sturdy plastic tool pockets Tools not included! TWO CHERRIES Leather Tool Roll with 12 leather pockets Tools not included!! VERITAS 3D Knitted Chisel Roll In a process similar to 3D printing, the features of this high-tech chisel roll are created using a unique 3D knitting process. Different knitting stitches and special-purpose yarns can be integrated in a single job, resulting in a durable one-piece construction. This chisel roll is made of heavy polyester yarn with a section of Kevlar® to add cut resistance to the blade-covering flap. 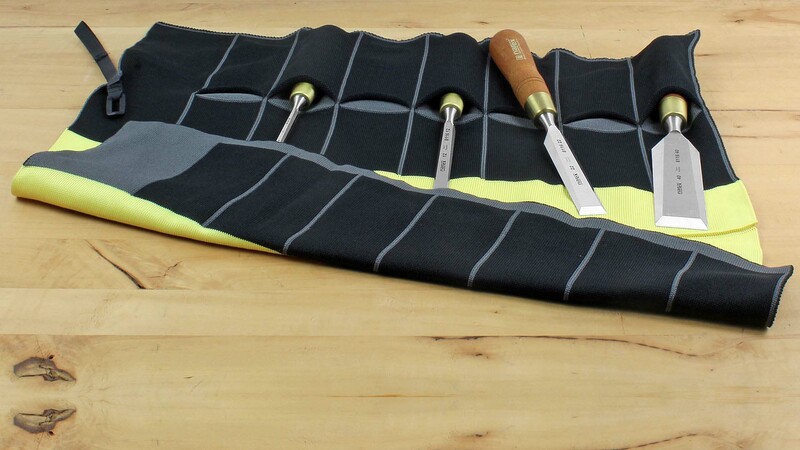 It can hold chisels from 228 mm to 292 mm (9 inch to 11-1/2 inch) long, and has 7 pockets that stretch to accommodate handles up to 44 mm (1-3/4 inch) in diameter. A hook-and-loop fastener strap secures the roll for storage or transport. Measures 558 x 483 mm (22 x 19 inch) when unrolled. Made for Veritas by the Canadian company that invented the 3D knitting process. 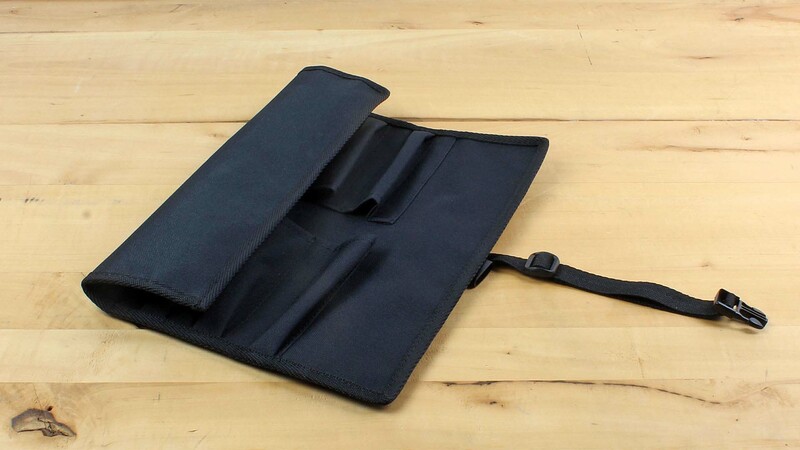 Complete overkill for a tool roll, but an irresistible story, a high-quality product, and support for an emerging technology and a firm that deserves it.